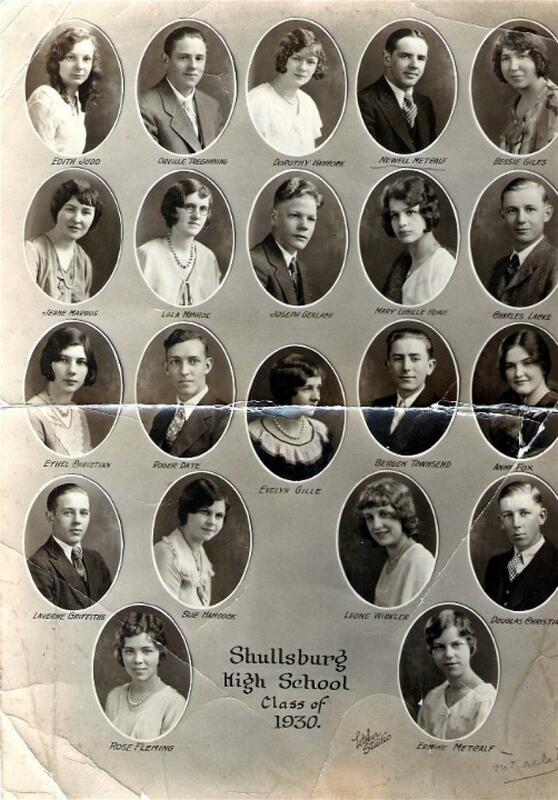 Comments: Lola (Nee: Monroe) | Shullsburg WI United States | 1921-1940 | Comments: Shullsburg, Wisconsin Class of 1930. My father, Newell Metcalf is shown with his 20 classmates. The other Metcalf in the photo, Ermine Metcalf is not related to him.